Adam Roberts is Professor of Nineteenth-Century Literature at Royal Holloway, University of London, as well as a science fiction novelist. He is the editor of Tennyson: the Major Works, which was recently published in the Oxford World’s Classics series. In the original post below, he reviews the Booker shortlisted novel The Quickening Maze, by Adam Foulds, which features Tennyson as a main character. If you’d like to read more by Adam Roberts, he also writes for literary blog, The Valve. 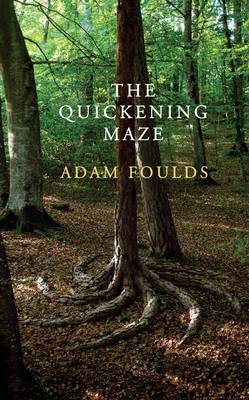 I picked up Adam Foulds’ excellent new novel The Quickening Maze (it has, as I’m sure you know, been shortlisted for this year’s Booker Prize) with more than an ordinary reader’s interest. 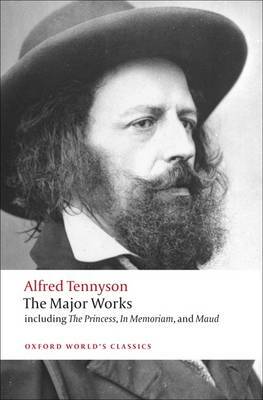 You see, this scrupulously researched historical novel takes Alfred Tennyson as one of the main characters; and I, as the editor of Tennyson: the Major Works, was curious as to how Foulds treats him. I was not disappointed. The Quickening Maze is, throughout, a beautifully written fiction: set in 1840 and centred on the lunatic asylum run by Dr Matthew Allen on the outskirts of Epping Forest, the novel evokes its world with a poet’s eye and skill at phrasing—indeed the book is as much about poetry, or poetic perception, as it is about a series of events. The point-of-view shifts deftly between all the main characters, including a number of the inmates at the asylum; although the peasant poet, John Clare, is the main focus. A patient in Allen’s asylum, his sanity is precarious at the beginning of the tale and becomes less stable as it goes on. Fould’s vivid, precise way with poetic image, and his exquisite control of language, brilliantly evoke the world through Clare’s hyper-sensitive eyes. But Tennyson has a large part to play too. He comes into the story as he oversees the admittance of his brother Septimus (suffering from the melancholic ‘black blood’ of the Tennysons) to the asylum, living there for nearly three years. Dr Allen befriends Tennyson, and persuades him to invest in his idea for an automated wood-lathe—in fact Tennyson put almost all the money he had, £3000, into this scheme, only to lose it all. The doctor’s pale, bookish daughter Hannah falls hopelessly in love with Tennyson, although the emotion is not reciprocated. Foulds has certainly done his research. He credits Robert Bernard Martin’s dependable biography Tennyson: the Unquiet Heart in his acknowledgments, but I take this to be modest understatement on his part; because one thing that emerges from this book is how well Foulds knows his pre-1840s Tennyson. I’ll give a few examples. Early in the book Tennyson talks philosophy with Allen, who believes in a ‘Grand Agent’ behind the phenomena of reality: ‘a common cause, a unitary force.’ Tennyson concurs. What interests me here is how Foulds have adapted this famous self-description for the purposes of his novel: Tennyson’s actual 1874 account is surprisingly reassuring about this strange fugue state, and wholly positive: ‘not a confused state but the clearest of the clearest … Death was an almost laughable impossibility … no extinction but the only true life’. In the novel, though, it becomes something rather more unnerving: ‘abstract, featureless and frightful’—because The Quickening Maze’s main focus is on madness, on that breakdown of coherent consciousness and its fearful consequences. The original for this is a conversation Tennyson had late in life with his son, Hallam. Once again Foulds has done something interesting with his source material. The substance of the recollection is the same, but where Tennyson’s original account is a cathartic outpouring—he ‘rushed out of doors’ at the news, ‘shouted aloud’ and wrote on rock to express himself—Foulds internalises the grief. His Tennyson is filled, even glutted, with a grief that is inside: he goes ‘into the woods’; he is ‘full of distress’ at ‘the thought of all he hadn’t written, all bright inside him.’ This interiorisation of experience is one of the main thrusts of the novel. Foulds’ characters all inhabit their subjectivities much more than they live in the world, some to the point of monomaniac madness. The exception also proves the rule: Clare, whose perceptions of the natural world around him furnish the novel with some of its most beautiful moments, cannot escape his own imprisoning imagination. He sinks into a grief-filled interiority—even believing himself to be Lord Byron himself—for he has been unable to cope with the death of his childhood sweetheart Mary, and the fantasy of her being alive again overwhelms him. That Tennyson is sane, and Clare mad, has as much to do with the different emphases of their imaginative engagements with mourning. Tennyson styles himself, patiently, as Arthur’s ‘widow’, in the last stanza there; a feminisation that Foulds develops in his fictional recreation of the poet’s personality. Clare, on the other hand, chafes against his restrains. He believes himself a famous pugilist, and fights with the asylum’s warders and with local gypsies. He roams restlessly through Epping forest, and—in a superb passage at he novel’s end—walks all the way back to his home village, a journey of 80 miles or more, overcoming the obstacles placed in his way, landscape, hunger and weakness. By comparison Tennyson moves smoothly: Foulds captures well his stillness and inwardness, his silences, the way he draws things into himself—not least, tobacco smoke (Allen “watched Tennyson relight his pipe, hollowing his clean-shaven cheeks as he plucked the flame upside down into the bowl of scorched tobacco’ ”). In all, it’s very deftly and sensitively done. The novel is highly recommended.